A very good quality / price ratio with limited availability from HRS Deals (bookings until 31 January 2013 and stays on selected days until 30 April 2013). 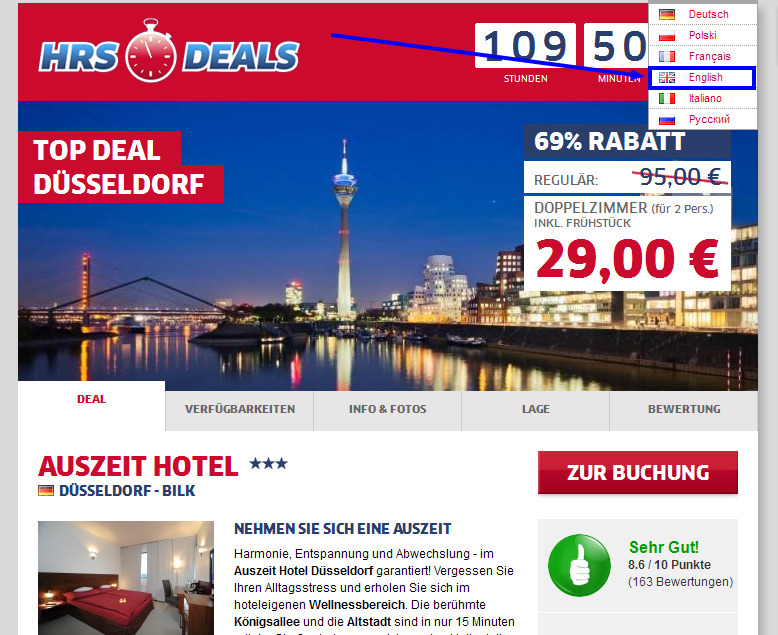 The Auszeit Hotel*** in Dusseldorf has a price of 29€ per night, which is a great deal in itself, but even more so when you know that it has a 8.7 guest rating on booking.com. 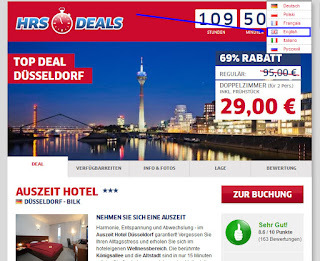 As an example, 2 nights over the week-end 8-10 March 2013 have a total price of 58€ , while the same room costs 116€ on booking.com (double). You have until 31 January 2013 to make the reservations. The bookings are non-cancellable, so book only if you are sure of your planned trip.